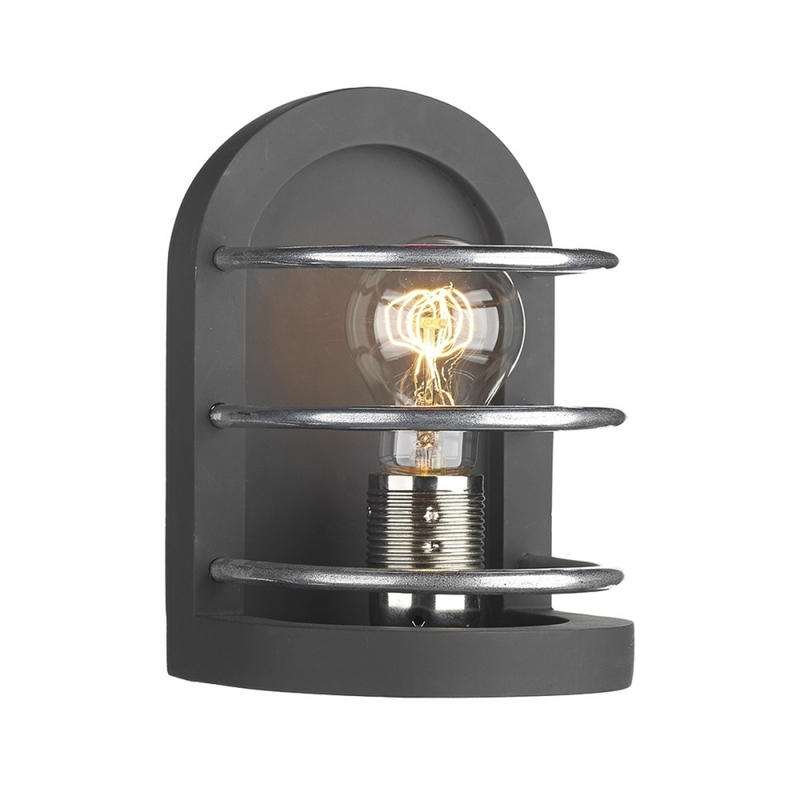 This Detroit wall light features a rounded wall bracket finished in matt black with a semi-circular base and caged detail. The bulb is supported by a metal candle holder behind chrome bars. The metal bars are a modernised take on the medieval lanterns used years ago and the vintage bulb adds to the retro feel of the fitting.